Spring is in the air. Days are getting longer and warmer. Flowers are blooming and green grass is sprouting. This is the time of year we spruce up our homes and refresh our wardrobes. But what are we doing about ourselves? Like many of us in the winter months, you may have hibernated inside and limited physical activity because it was too cold to venture out. In theory, exercising on a regular basis sounds great. But when it comes to actually doing it, you might be one of many who will find anything to occupy your time instead. Now is the time to change your attitude about exercise. If you think you need high-end running shoes or exercise equipment to start a fitness plan, you’re wrong. A brisk walk 30 minutes, five days a week can be just as effective. In fact, walking briskly can lower your risk of high blood pressure, high cholesterol and diabetes as much as running, according to the American Heart Association. • Take Fido out. Taking the dog out for a walk is not only a great activity for man’s best friend, it’s great for your heart too. • Park and walk. When driving your car, park it further from your destination. If you drive to the train each morning, park a couple blocks away so you can get some walking before your work day starts. • Take the stairs. Skip the elevator or escalator. Climbing stairs will increase your heart rate. While it may feel like you huffing and puffing, it is great cardio and your heart will thank you. • Skip dessert and walk. If getting your steps in during the day is too difficult, make it a routine that you and your family take daily walks after a dinner. It’s also a great way to spend family time and teaches your children that exercising regularly is beneficial to overall health. • Hit the mall. Do laps in a mall. If you need to just pick something up at the mall, spend some extra time there walking for at least 30 minutes. • Find a buddy. You’re more likely to stick to a walking routine if you have someone with you. Time usually flies when you’re walking and talking with a friend. • Walk and Talk. If you need to be on a conference call at work, it doesn’t mean you need to be glued to your desk. Get up and walk outside. • Put a step in your house chores. If you need to fold laundry, march in place while you’re doing it. In fact, house cleaning can be great physical activity for burning calories and keeping your heart healthy. 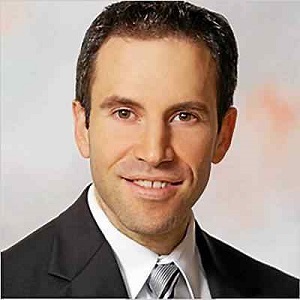 Dr. Scott Fredd is a cardiologist for Cardiology Consultants of Philadelphia. Dr. Fredd is located in the East Norriton office, 609 W. Germantown Pike, Suite 120, E. Norriton, PA, 19403.